Dartmoor National Park is one of the last great wildernesses in the UK with an inspirational landscape of heather clad moors and rugged tors. Dartmoor was designated as a National Park in 1951, a vast tract of largely untamed countryside of huge richness and diversity stretching across 368 square miles. It's a landscape quite unlike any other, populated by lofty granite tors, mysterious hut circles and standing stones, ancient woodlands, sturdy clapper bridges, rushing streams, Dartmoor ponies, bustling stannary towns and secluded villages. This unique area has so much to see and do, but first of all you must experience Dartmoor by actually getting out onto it, the National Park is most easily accessed by car, although there are options by bus if it’s a particular village you would like to see but in general there is little public transport on to the moors. Walk, ride, cycle, canoe or even fish once you are on Dartmoor so that you can soak up its very special atmosphere. Another Dartmoor activity that has become very popular with families is letterboxing - you can find out more about this unique activity at High Moorland Visitor Centre at Princetown. Dartmoor is also a wonderful landscape for you to enjoy Geocaching, if you’re not sure what that is, you can learn more about it here. Dartmoor is crossed by many miles of footpaths and tracks, but two major routes with breathtaking scenery are The Dartmoor Way, a circuit that visits many attractive Dartmoor towns and villages, and Two Moors Way linking Dartmoor and Exmoor. However, you do not need to follow a planned route for Dartmoor is full of unexpected delights. These include a modern Castle with stunning views at Castle Drogo, a tranquil Benedictine monastery at Buckfast Abbey where you can buy honey and mead, a granite railway at Hay Tor, while a visit to picturesque Widecombe-in-the-Moor of Uncle Tom Cobley fame is a must. 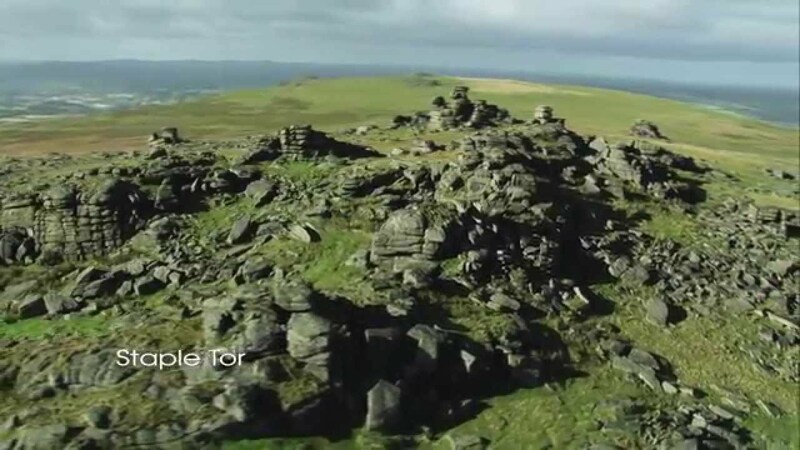 As well as amazing scenery, Dartmoor has many different layers to discover - curious geology and fascinating archaeology, centuries of history, the mining legacy, local legend and folklore, and its unique wildlife and flora. The Dartmoor National Park Authority helps deepen understanding and enjoyment of Dartmoor in guided walks, talks and events, while Dartmoor's unique heritage can also be explored further at the fascinating Museum of Dartmoor Life at Okehampton. However, Dartmoor is also special for many other reasons. Dartmoor shopping is distinctive as although shops tend to be quite small, there is a fascinating variety including bookshops, walking equipment stockists, specialist food and drink suppliers, antiques, and art and craft galleries. Dartmoor culture is also very strong with a whole host of events ranging from traditional celebrations like Tavistock Goose Fair to newer literary and music festivals such as The Two Moors Festival and Chagstock. For ideas and inspiration on days out on Dartmoor, Visit Dartmoor has lots of great itineraries from Food & Drink, Arts & crafts, Water Sports weekends and A Dog-Friendly Day Out, you’ll find information on them all here.